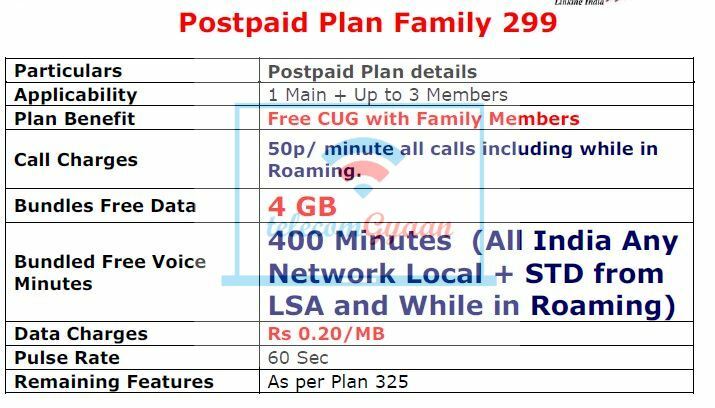 Postpaid Plan Family 299 offers Unlimited Free CUG Calling with family members and can be taken up for up to 4 family member (1 main & 3 add on members). Call charges for all outgoing calls are flat 50p in home circle and would remain the same in roaming as well. 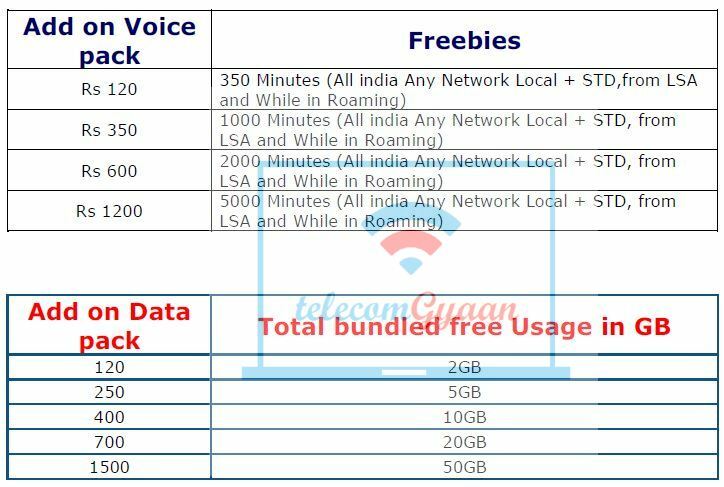 BSNL Gujarat is offering 4 GB Data and 400 minutes for all Local & STD calls (valid for calls in Roaming as well) in each billing cycle. There are a 4 Voice Add Ons and 5 Data Add Ons, both starting at just Rs. 120 and offering 350 minutes and 2 GB data respectively.